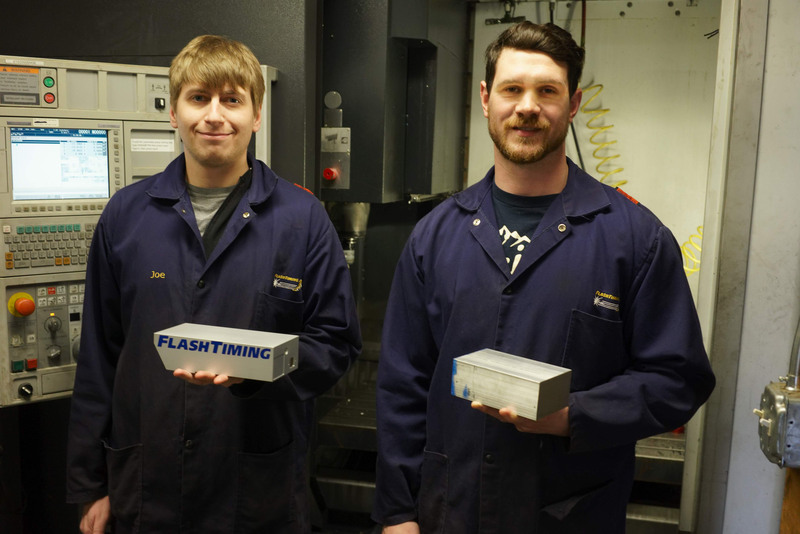 Here’s why you should make FlashTiming part of your timing team. 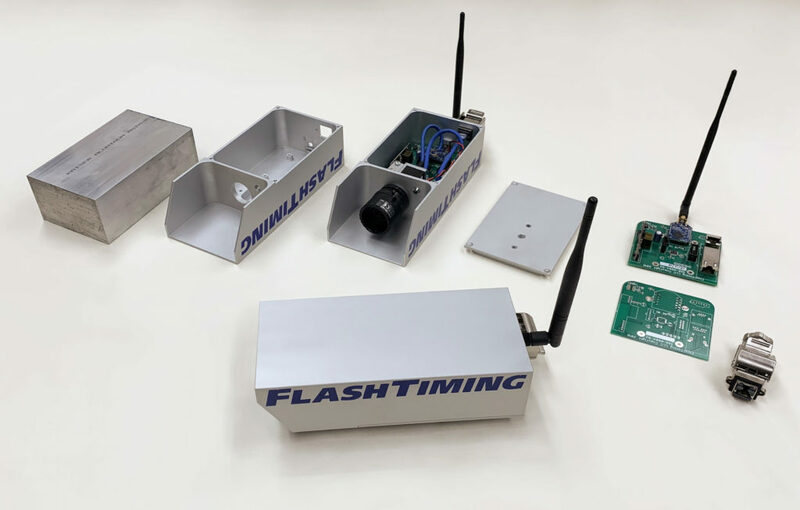 Back in 2005, FlashTiming was founded by a track coach and a timing official who knew they could improve the accuracy and ease of use of sports timing products. Their experience and insights resulted in FlashTiming becoming a leading force in innovative, affordable track timing resources. Today our company’s team members continually use our products to time real track meets. In 2018 alone, 5 members of our team timed a total of 179 meets. We are in conversations with these quality folks multiple times per week. It’s this kind of real world experience that gives FlashTiming the crucial feedback needed to understand and design better timing solutions. We have 14 team members dedicated to supporting your needs. In our close-knit group of designers, engineers and fabricators, the customer’s experience is always central in our minds as we create. Simply put, without you, there is no us. FlashTiming manufactures nearly everything in house, with the exception of powder coating and anodizing. The circuit boards are loaded here, the camera housing is machined out of a solid aluminum bar that starts out weighing 9 pounds and ends up weighing 1. It is an extremely rugged and water resistant housing. The camera bases are welded and sand blasted here. All plastic housings and aluminum parts are machined here on our high end CNC machining center. The picture below shows our latest camera as it is built in our facility. On the left is a block of aluminum that is the start of the camera housing build. Next is the finished enclosure after machining, bead blasting, anodizing, and silkscreening. Next is the housing with the components installed. To the right of that is the bottom cover containing the mounting features. To the right of that is the raw circuit board that we design and above that is the loaded board with the radio installed. The completed camera is in the central lower portion of the picture. Below is a picture of two of our engineers wearing a different hat in front of our CNC machining center. Carl is holding a block of aluminum before machining and Joe is holding the enclosure after it is machined. 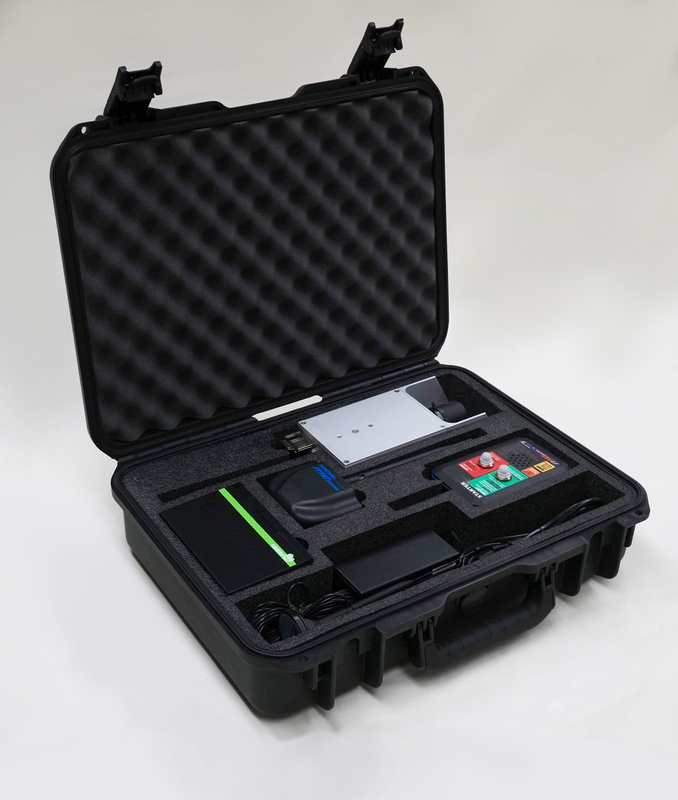 The completed camera and accessories are shown here in the sturdy case provided to protect the system. If you cannot find coaches in your area who are using our products please give us a call and we will locate some for you to talk to. You won’t find better support. Phone numbers on our website are cell phones and we answer them if we are awake. Our team is available all day, even through the weekends. We strive to make our systems durable and failsafe, but if you are hosting a meet Saturday morning and something is not working as it should, call us. Existing owners of the FT-FAT120 and FT-FAT200 can upgrade those products to the FT-FATLS Plus for an affordable price. Whenever possible we offer our customers an upgrade path to our newer products. Sometimes it is not possible because of significant differences in the products. An example is the FT-FAT60 which is based on an old NTSC video standard.